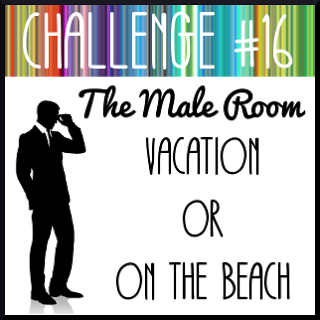 I made today's card for the Male Room Challenge - Vacation or On the Beach. 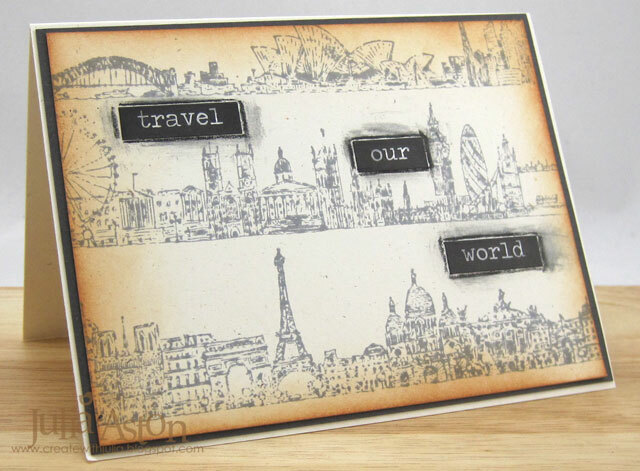 I went with the Vacation theme - so I could use my new stamps from Tim Holtz - City Scapes. 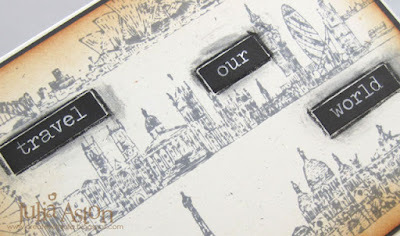 I stamped the Paris, London and Sydney City Scape stamps (there's also a Rome and San Francisco in the set) using Ranger Distress Hickory Smoke ink on Rustic Cream cardstock. I sponged the edges with Ranger Distress Tea Dye ink and added Idea-ology Big Chat Stickers. I drew around the stickers with a black Stabilo pencil and then rubbed it with a wet finger to smudge it. 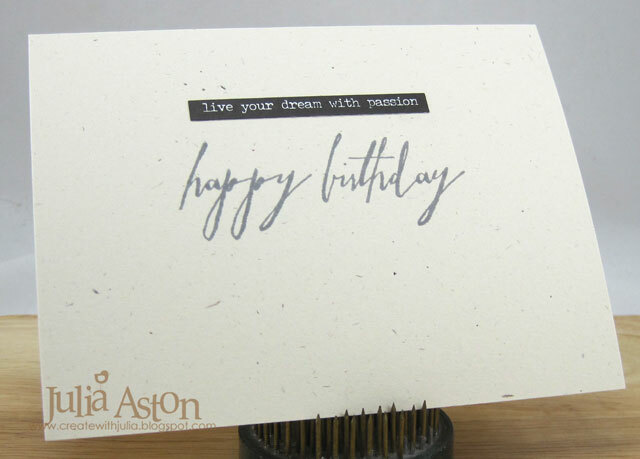 I added an Idea-ology Small Talk sticker and a Happy Birthday sentiment inside. You still have a few days to link up your masculine card over at the Male Room - check out all the details and DT inspiration here. Ink: Ranger Distress Hickory Smoke and Tea Dye. Accessories: Black Stabilo Pencil, foam dots, Idea-ology Big Chat Stickers and Small Talk Stickers. Great masculine cared Julia - Love that skyline and all your beautiful inking! Fantastic masculine card. I love those city scapes, and you made a brilliant background with them. Your choice of colors/neutral is spot on. 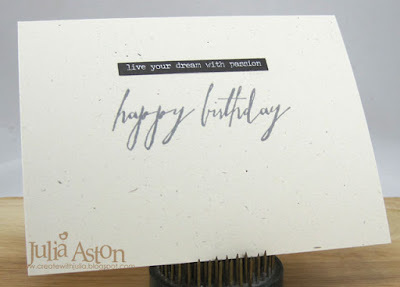 Fabulous card Julia, love the Hickory Smoke on the cream cardstock! Wonderful masculine card Julia...just love your fabulous design and those stamps are incredible. These are sometimes hard to do . This is a wonderful guy card , Julia! Gorgeous! Love the slightly vintage feel and the cityscape images are super - my idea of a fun vacation. Sorry I'm so late commenting, thanks for playing along with The Male Room's Vacation/Beach challenge!